From the New York Times bestselling author of The Plantagenets, a lively, action-packed history of how the Magna Carta came to be. The Magna Carta is revered around the world as the founding document of Western liberty. Its principles—even its language—can be found in our Bill of Rights and in the Constitution. But what was this strange document and how did it gain such legendary status? Dan Jones takes us back to the turbulent year of 1215, when, beset by foreign crises and cornered by a growing domestic rebellion, King John reluctantly agree to fix his seal to a document that would change the course of history. At the time of its creation the Magna Carta was just a peace treaty drafted by a group of rebel barons who were tired of the king’s high taxes, arbitrary justice, and endless foreign wars. The fragile peace it established would last only two months, but its principles have reverberated over the centuries. 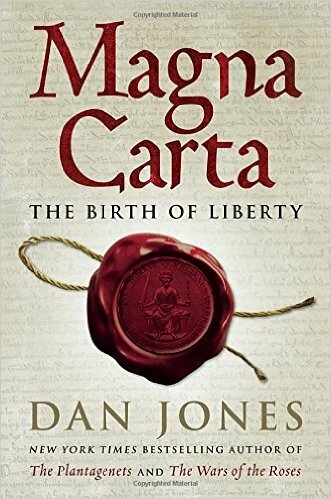 Jones’s riveting narrative follows the story of the Magna Carta’s creation, its failure, and the war that subsequently engulfed England, and charts the high points in its unespected afterlife. Reissued by King John’s successors it protected the Church, banned unlawful imprisonment, and set limits to the exercise of royal power. It established the principle that taxation must be tied to representation and paved the way for the creation of Parliament. In 1776 American patriots, inspired by that long-ago defiance, dared to pick up arms against another English king and to demand even more far-reaching rights. We think of the Declaration of Independence as our founding document but those who drafted it had their eye on the Magna Carta. Plagues in World History provides a concise, comparative world history of catastrophic infectious diseases, including plague, smallpox, tuberculosis, cholera, influenza, and AIDS. Geographically, these diseases have spread across the entire globe; temporally, they stretch from the sixth century to the present. John Aberth considers not only the varied impact that disease has had upon human history but also the many ways in which people have been able to influence diseases simply through their cultural attitudes toward them. The author argues that the ability of humans to alter disease, even without the modern wonders of antibiotic drugs and other medical treatments, is an even more crucial lesson to learn now that AIDS, swine flu, multidrug-resistant tuberculosis, and other seemingly incurable illnesses have raged worldwide. Aberth’s comparative analysis of how different societies have responded in the past to disease illuminates what cultural approaches have been and may continue to be most effective in combating the plagues of today. Caught on the wrong side of an English civil war and condemned by his father to the gallows at age five, William Marshal defied all odds to become one of England’s most celebrated knights. Thomas Asbridge’s rousing narrative chronicles William’s rise, using his life as a prism to view the origins, experiences, and influence of the knight in British history. In William’s day, the brutish realities of war and politics collided with romanticized myths about an Arthurian “golden age,” giving rise to a new chivalric ideal. Asbridge details the training rituals, weaponry, and battle tactics of knighthood, and explores the codes of chivalry and courtliness that shaped their daily lives. These skills were essential to survive one of the most turbulent periods in English history—an era of striking transformation, as the West emerged from the Dark Ages. A leading retainer of five English kings, Marshal served the great figures of this age, from Queen Eleanor of Aquitaine to Richard the Lionheart and his infamous brother John, and was involved in some of the most critical phases of medieval history, from the Magna Carta to the survival of the Angevin/Plantagenet dynasty. Asbridge introduces this storied knight to modern readers and places him firmly in the context of the majesty, passion, and bloody intrigue of the Middle Ages.